Kate Middleton, Prince William and their newborn son left their new home of Kensington Palace this afternoon for their first outing as a family since welcoming their royal baby into world. The new little family arrived at Kate Middleton’s family home in Bucklebury, Berkshire this afternoon so the Duchess of Cambridge’s her parents Carole and Michael can help her care for the newborn in the early stages of his life. 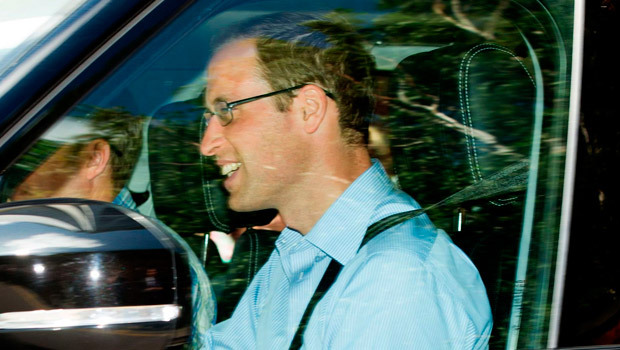 With a beaming smile, proud dad Prince William sat in the passenger seat and waved to photographers and passers-by while the Duchess of Cambridge sat in the back with her new baby. Kate wore a blue and white floral wrap dress and oversized sunglasses, while her famous locks were tied back into a tidy ponytail. She too, waved at photographers and smiled, while keeping one protective hand on her new son. They’re so cute! Kate, Prince William and the royal heir were visited by Prince Harry at lunchtime, a spokesperson for Kensington Palace confirmed, and soon after set off in their black Range Rover in a four-car convoy for Kate’s home village. It’s unknown exactly how long they’ll stay, but it’s likely that Kate and the royal baby will remain in Berkshire when Prince William returns to work following his two-week paternity leave. And while Prince William told the world’s press yesterday that the couple are ‘still deciding on a name’, it’s likely that the Queen now knows what the little one is called. Her Majesty visited the new parents and the future King this morning, shortly before Prince Harry, and it’s thought she was told the name of the baby as a matter of urgency before she sets off on her holiday at Balmoral on Friday. 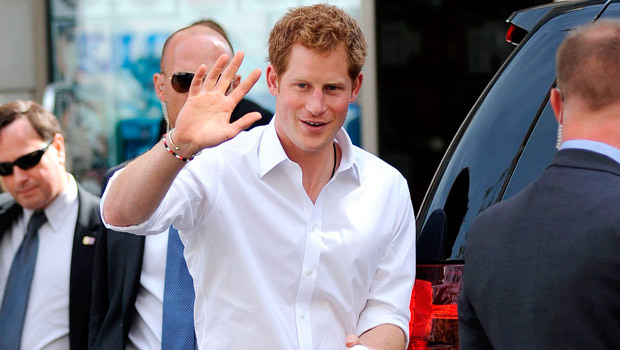 We’ll bring you news of Baby Cambridge’s name as soon as he have the official statement.